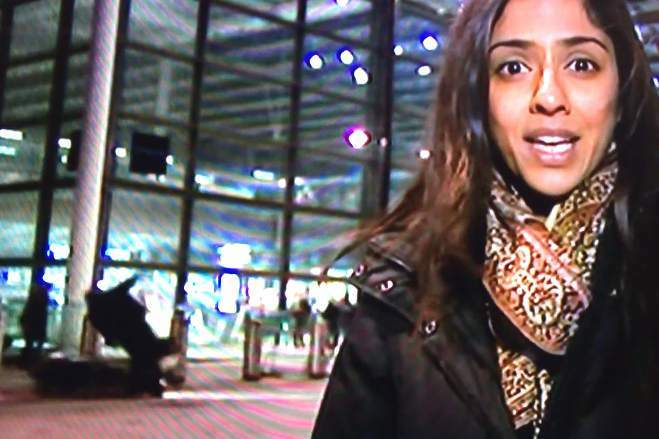 THIS is the moment a moped crashed into a pedestrian in the background of a live news report. A man seen wheeling a suitcase across the road is knocked to the ground as the crashed scooter slides into his legs. The incident took place outside St Pancras International railway station during an ITV news report last night.